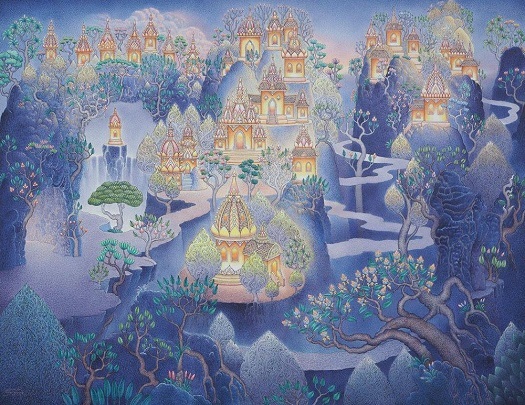 It is the final weekend for the presentation of Asian painter Teerawat Kanama at Bangkok lands. 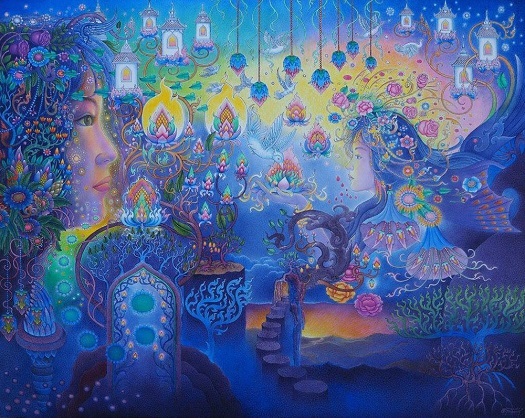 With a series of paintings centered in the cultural and mythical conviction to pursue a vision of life-based on perseverance, the artist elaborated magic landscapes of fantasy and light. In his acrylic paintings, Kanama builds a quiet imagery that illustrates the ways to move throughout the dreamy ambient building from memories and destiny. 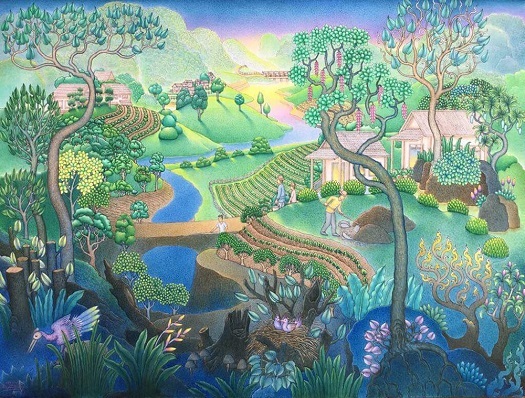 The idea of a continuous life of working in a direction to eventually reach a goal is intrinsically on the canvases that have been shown in the exposition presented at the Ardel Gallery of Modern Art in Thailand. 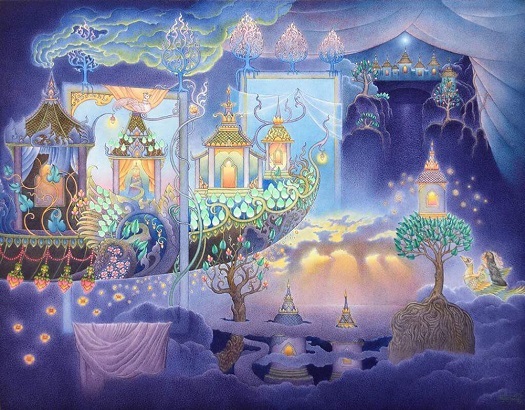 The depictions arrive with a support in deep blues that prepared the landscapes where trees, clouds, and temples will be illuminated like candle lights dancing in harmony for the spectator. Oct 13th, 2018 represents the last day of this exhibition. Here some of the pictures.